access to all facilities and services on campus. You'll also have access to specialised resources and support through the faculty or school you're researching with. We’re developing advanced technologies that allow transdisciplinary teams to collaborate across global boundaries. You’ll access advanced information technology to create and analyse research data, developing your research design and supporting academic publishing. All this will be supported by our high performance computing and advanced technologies, exceptional library infrastructure, and information technology services. Take advantage of our leadership in research technology, including: ePrints, our large academic publications database; high performance computing and visualisation facilities; and international exposure for your research through our digital repository. getting published, author profiles and publication metrics. We offer a transformative new approach to the research training environment by giving you a personalised learning journey throughout your research journey. You’ll be able to choose experiences and opportunities that will strengthen your innovative, industry-relevant, transdisciplinary and professional practices. our library and training resources for early career alumni. working with visiting international experts. We welcome research students from all over the world to complete part of their studies with us. Research with us on exchange. be provided with a statement of your completed optional training. For the first three years after you've completed your PhD, we'll give you extra support to help you transition to your postgraduate career. Our alumni have access to all sorts of benefits and special offers. You'll have access to opportunities for networking, as well as continued access to your QUT email, and select library resources and workshops. We can give you advice on grant-writing and funding opportunities. We'll also advise you on research commercialisation and connect you with QUT bluebox or QUT Creative Enterprise Australia. You'll have the full support of our employment and careers service, as well as access to workshops and resources through our human resources department. To help you kickstart your career in academia, you can also apply for the three-year QMomentum fellowship, where you'll get access to extensive support and services to help you research and publish after graduation. 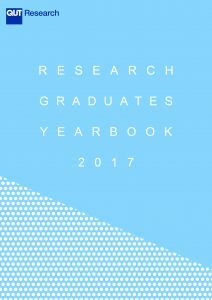 You may also be included in our annual Research Graduates Yearbook. Find out more about the student support we offer.